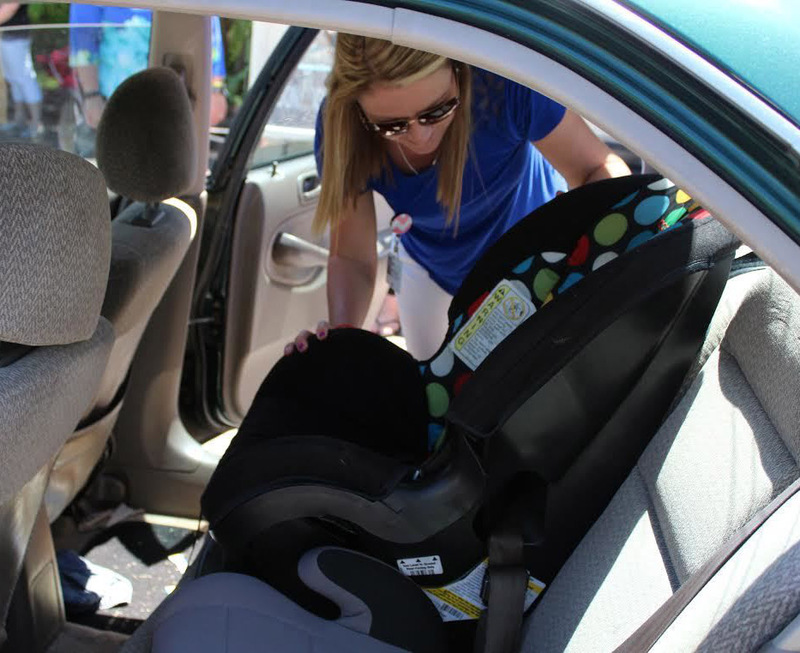 Come to a Car Seat Clinic: Sat, Mar 16th from 9:30 -11:30 am at Generations’ (Willimantic) parking lot. YOU MUST CALL TO REGISTER AND MAKE AN APPOINTMENT! 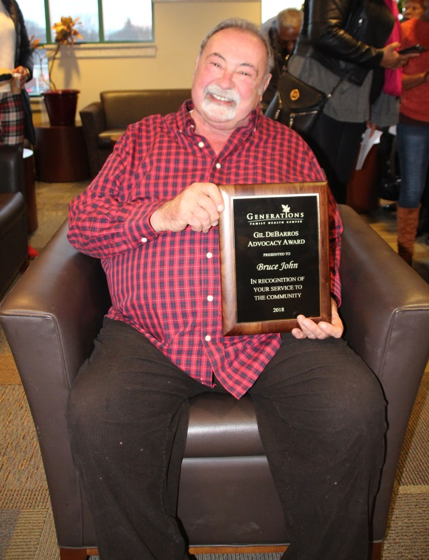 Willimantic, Connecticut – Last night, Generations Family Health Center, Inc. (Generations) awarded the 9th Annual Gil DeBarros Advocacy Award to area resident, Bruce John. 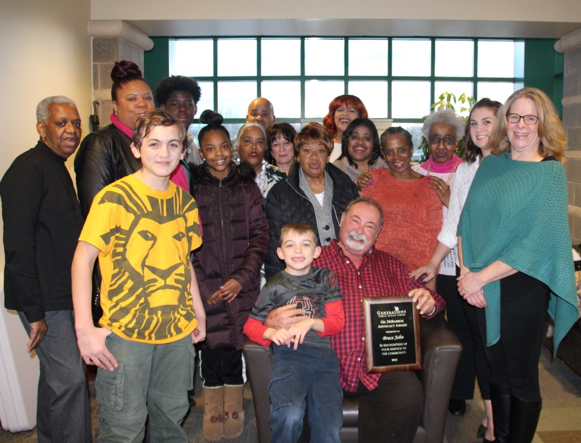 The Generations Family Health Center Annual Gil DeBarros Advocacy Award is presented annually to the person who exemplifies the value of service to their community that was demonstrated by Gil DeBarros throughout his lifetime. In a 2007 interview, Gil DeBarros said “I lived on the street, I know the hardships. You don’t know a man’s steps until you walk in their shoes. I hope I can help in that way.” As one of the most active members of the Generations Family Heath Center Board of Directors, Gil DeBarros was able to fulfill that wish. He provided insight to the Board of Directors about the types of services and access to healthcare that were needed by the homeless population of the communities Generations provides services to. He devoted much of his time to advocating for the homeless in his town, in his state, and in this country. Gil DeBarros also spent his time volunteering at the Norwich Soup Kitchen and the Norwich Veterans’ Center. Through his volunteerism and advocacy for the homeless, Gil DeBarros touched the lives of many people. Sadly, Gil DeBarros passed away on March 25, 2009 after an extended illness. He was an inspiration to all those who were lucky enough to have known him and to the people who have only had the chance to hear his story. For the past 15 years, Bruce has been throwing a Birthday Party for himself and has raised over $10,000 each year for the No Freeze Shelter. He rents out the local Elks Club, gets bands to donate their time and talent, performs at the event and markets the event. It initially started with his friends and his band’s followers but has grown to an event that sells out every year. Several years ago he created a venue at the Soup Kitchen and started a folk band series that raises money for the Covenant Soup Kitchen. This well-known music series is known as the Bread Box and has hosted many very talented and recognizable singers. Bruce and his wife single handily hire the talent, market the event and produce the series. In addition to putting on fundraising events to support the local non-profits, Bruce can also be seen at many of these non-profits working on the front line serving food, entertaining clients with his voice and guitar or mentoring a person in need. Bruce is married to Therese John and has two daughters, Mia and Emma along with three grandchildren. Besides being a local entertainer, Bruce is the co-owner, with his daughter, Mia, of Mansfield Academy of Dance. 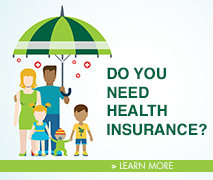 Generations Family Health Center, Inc. (Generations) is a private, not-for-profit, regional Federally Qualified Health Center (FQHC) that has been serving eastern Connecticut since 1984. Generations provides a full continuum of primary health care, oral health care, and behavioral health care and support services for people of all ages through sites in Willimantic, Norwich, Putnam, Danielson, and Putnam School Based Health Centers and in the community through its mobile dental programs. Generations is accredited by the Joint Commission and is recognized by the National Committee for Quality Assurance as a Patient Centered Medical Home. Generations’ mission is to provide quality, compassionate and professional health care that is affordable, easily accessible and without discrimination to all members of the communities served. 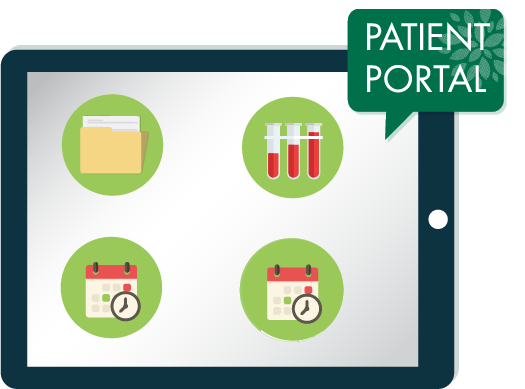 Last year, Generations provided over 95,000 visits to some 22,000 patients. Join us on Wed, Feb 20 from 2:30-4 p.m.
Join us for Valentine’s Celebration! Play Groups are designed for parents with children 0-5 who are looking for fun, Interactive and educational activities. For any questions, please call Travis West at 860-450-7471 Ext. 6308. Snacks & refreshments served.